Want better stopping power? Less brake fade? 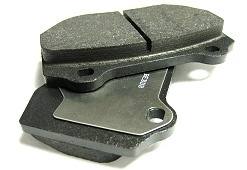 Check out our range of Performance Friction brake pads, imported from the USA. We offer pads across the whole engine size for 156. 147, GT & GTV models. We also cater for certain 159, Brera & Spider models and Giuliettas fitted with the 330mm red Brembo brakes.